Their solution is for John to come up with 50 recipes and Neil to match three wines to every one of those dishes. Why three? Because nobody’s palate is the same. So “Bloody great burger with smoked bacon and pickles” comes with recommended McGuigan wine matches of a red blend, a straight Shiraz and a Chardonnay. The recipes are available on a website that you can also access via a QR code on the back labels of McGuigan wines. The QR code will actually take you first to a description of that particular wine. It’s up to you, the user, to be interested enough to see that there is a short survey you can fill out on food and wine preferences. If you do that, you receive a well-produced PDF of selected recipes with wine matches. I think they’ve missed a trick by not adding some food matching suggestions to the wine descriptions themselves, which would be handy when you are out shopping and need inspiration. 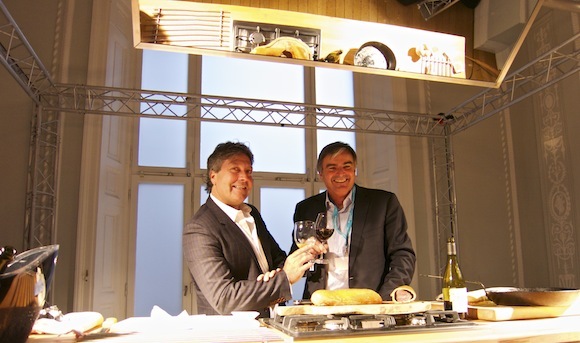 This is not yet the “ultimate personal food and wine matching service”. But, as was made clear at the launch, these are early days. And, by seeing how interested people are in the initial proposition, Neil and John can test the market for further developments. To put the Collection into action, we are served a variety of dishes for lunch, both starters and mains. These are not cooked by John, though he does do a quick demonstration of one of the dishes, more for the cameras than anything else. 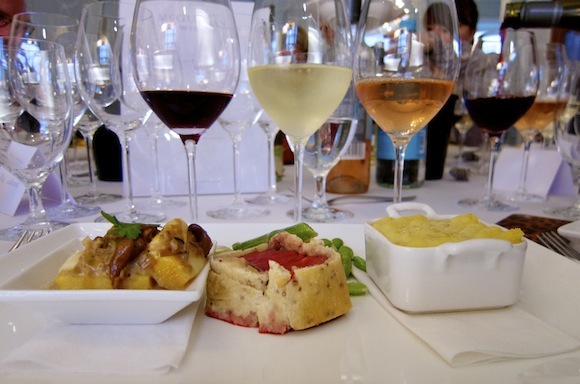 While each dish has a “perfect” wine match, we are encouraged to experiment. All in all, I am served 11 different wines and nine different dishes (some plated together). Frankly between listening, talking to people on my table and being served extra wines by Neil, I lose count of what wine works best with which food. Here’s what I take away though. The fun, fruity Black Label Sparkling Shiraz works best overall with the picnic-style entrees. Any matches made in Heaven? Maybe not. It just seems to rub along quite well with a versatile range of flavours, including hummus with spiced mince lamb and muffaletta (a cut loaf of bread stuffed with cheese and cold cuts). Equally, a Provence-style Classic Rosé wine and fish pie work very well together. But I far prefer the 2006 Semillon which feels like it is hitting its stride from when I last tasted it – gaining some mouthfilling waxiness, and proves how having a wine with food can reveal new aspects. I enjoyed it so much, I even drank it with some beef fillet. 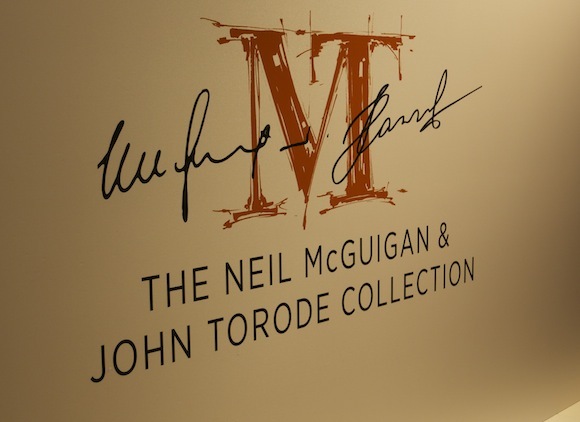 The Neil McGuigan and John Torode Recipe Collection launches in the UK in February.